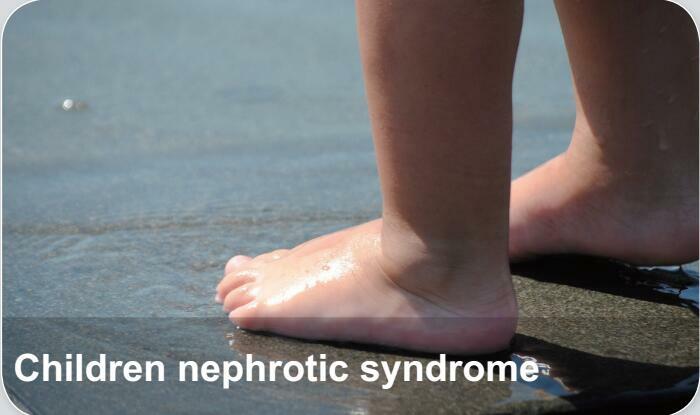 Children nephrotic syndrome refers to nephrotic syndrome occurred in children, which is a syndrome comprising signs of nephrosis, chiefly proteinuria, hypoalbuminemia, and edema. It is a component of glomerulonephrosis, in which different degrees of proteinuria occur. Essentially, loss of protein through the kidneys (proteinuria) leads to low protein levels in the blood (hypoproteinemia including hypoalbuminemia), which causes water to be drawn into soft tissues (edema).